The Reporting is integrated in the database client. 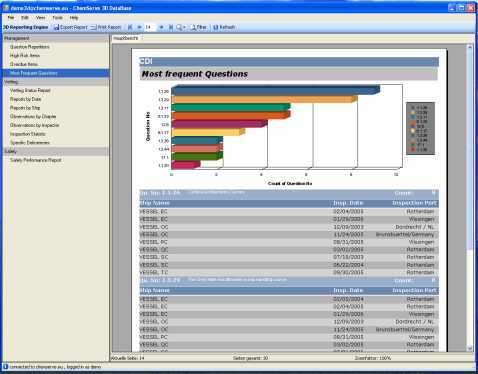 CRYSTAL REPORTS is used to visualize the reports. We offer a set of standard reports. The reports are grouped by user type such as Management Vetting Dept. etc. Additional special reports can be produced on your request. All reports can be printed exported to the MS Office Programs (Word, Excel etc). Comfortable editing and modification is possible there.